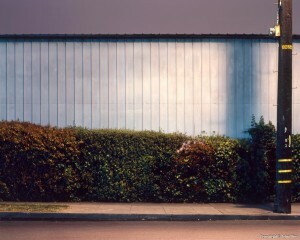 Wall and Hedge was selected for “Glimpses in Time,” an annual juried photography exhibition, this year in honor of Manuel Alvarez Bravo, at the Joyce Gordon Gallery in Oakland. I’m very pleased to have been included in the show for the third year in a row. Almost 154 entries were submitted from across the US and five foreign countries. A public reception will be held Friday, July 3, 2009, 5:30 p.m.–9:30 p.m., coinciding with Oakland Art Murmur. The Joyce Gordon Gallery is at 406 14th St., Oakland, just steps from the 12th St. BART station. The show runs through this month. The juror was Rene de Guzman, senior art curator at the Oakland Museum of California. Manuel Alvarez Bravo was a Mexican photographer best known for his sometimes dream-like, sometimes political, surrealistic work. I encourage you to learn more about his contributions to the arts. And come see the show!